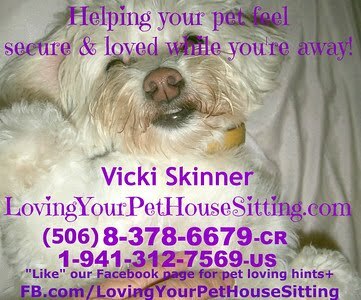 FINAL WEEKEND of Vicki's Escazu MOVING SALE!!! 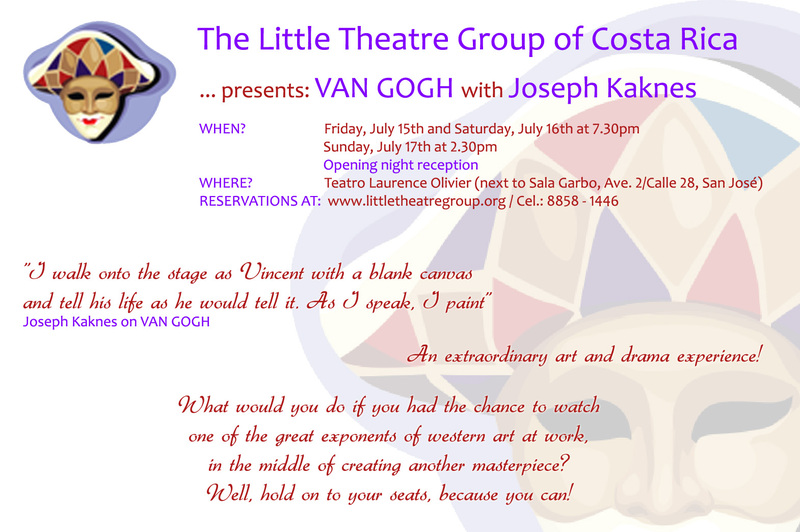 The Little Theatre Group of Costa Rica (LTG) presents "VAN GOGH — The Play"
"VAN GOGH — The Play"
“I walk onto the stage as Vincent with a blank canvas and tell his life as he would tell it. As I speak, I paint.” - Joseph Kaknes. Kaknes takes on Van Gogh’s persona and leads the audience through the life of the tormented Dutch artist until just before his suicide. At the same time he creates an original work of art before their very eyes. Watch as the American artist / dramatist transforms the stage into Van Gogh’s studio. After the performance, Kaknes takes questions and spreads his passion and respect for the venerable Van Gogh, inviting audience members to see his creations onstage. Since its premier in November 2002, Van Gogh was nominated for best one-man show at the Firehouse Theatre’s Newbie awards (Newport, RI) and has been performed at least 100 times throughout the US. (Sorry, our special Saturday 2x1 does not apply for this show). "Such Things As Dreams Are Made Of"
An evening of song, comedy, poetry and testimonial, mostly created and performed by our very own talent in LTG. The mystery of dreaming, veiled worlds within, fascinating lessons in our collective unconscious. And then we wake up.. .. First performed this June, we have been asked to do a reprise.